In today’s technologically advanced world we have learned how to harness many thing to our benefit like solar energy, wind energy, and now even DNA. A genetically modified organism is an organism that has had its DNA altered whether its adding a gene or taking away a gene. These organisms often have DNA that do not even belong to the species it is, for example a goat that produces spider silk, bacteria that produce human insulin, and rice that produces beta-carotene. None of these organisms produces those things in nature that is why they are genetically modified. The genetically modified organism that will be focused on is a type of plant specifically a rose but a new type of rose. This new rose has a color that has been fantasized for centuries, blue or at least they tried to make it blue. To try and achieve this color Australian and Japanese scientist inserted a gene that would produce the pigment delphinidin into a white rose, which was obtained from a pansy. Another gene necessary to produce the blue pigment was a gene that would turn off another gene that blocked the production of the blue pigment, this gene was actually a new man made gene called RNA interference. RNAi was created to block a gene that was hindering the production of the blue pigment. On paper this sounds like the scientists were successful in creating roses that rage from baby blue to navy blue. This is what they expected but the results were different from what they had envision. 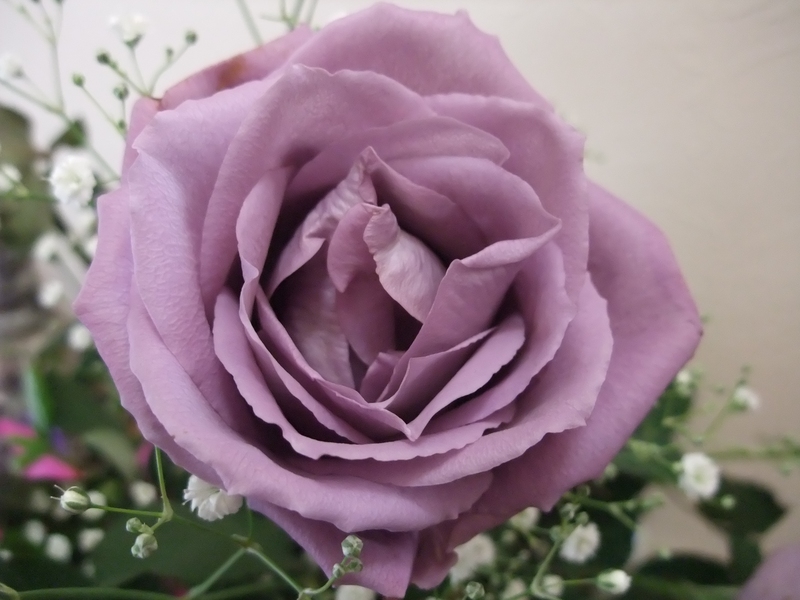 The result of the new rose wasn’t actually blue its more of a very soft purple or lilac color rather than blue. These new roses created by genetic engineering don’t really serve any purpose that is beneficial to us. They might have a purpose in being interesting gifts for people, after all blue roses symbolize mystery because they don’t occur in nature. Today these roses are still being tested in Japan and North America to try and make they a true blue rose. In some markets of Japan and North America these roses are actually being sold for 2,000 to 3,000 yen or about $20 to $35 dollars a steam.